The ADA Studio is just as cozy as our other studios. 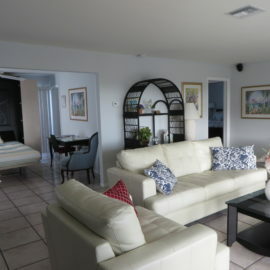 Located poolside on ground-floor, this lovely ADA studio is handicapped accessible. 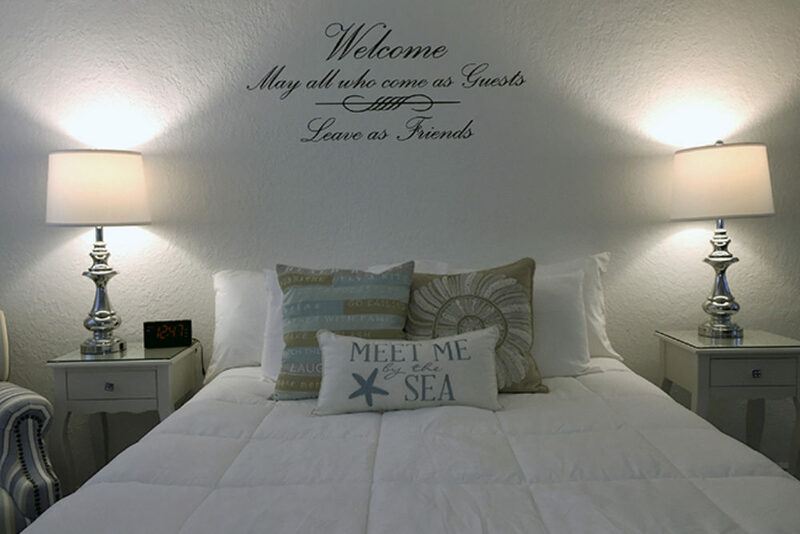 Fully furnished with a queen size memory-foam bed, it offers a roll-in kitchen with all your cooking and eating utensils, a stove with oven, a coffee pot, a toaster, a microwave an apt-size fridge, and a small dining table with 2 chairs. This studio also offers a large handicapped accessible bathroom with roll-in shower and grab-bars, an ADA toilet also with grab-bars, and and plenty of towels. The main area of the studio also offers a flat screen Samsung Smart-TV. 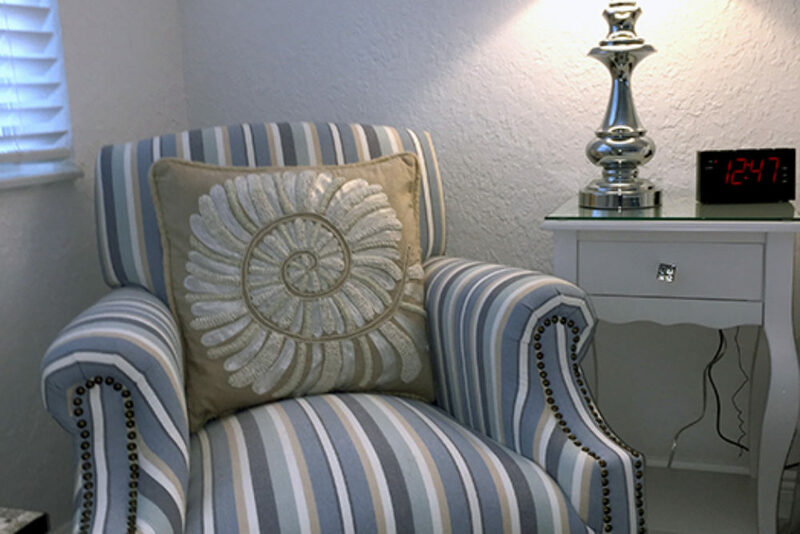 We offer complimentary coffee and tea. 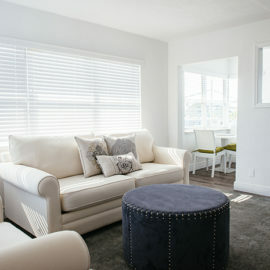 Also included at no extra cost; High-Speed Wi-Fi Internet, off-street ADA parking with an access ramp, beach towels, beach chairs and umbrellas. MAX Capacity for this ADA studio is 2 people. - Occupancy limits of 3 persons (2 persons for the ADA studio), strictly enforced, State Law. - 2-night minimum stay weekdays.